At-A-Glance: A Snapshot of Zero/Six Projects - Zero/Six Consulting, LLC. The Ango Global Headquarters Building is an 18,530-square-foot office that was built for an Angolan oil company. This building features extremely high-end finishes and includes structural studs, masonry exterior walls, and extensive glass curtain walls. Ango Global commissioned Zero/Six to perform an exterior envelope assessment in an effort to ascertain the overall condition of the building’s ability to resist water infiltration. Owner: Ango Global International, Inc. 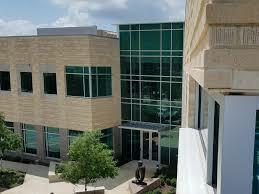 The Post Oak School is a Montessori school with two campuses in Greater Houston. 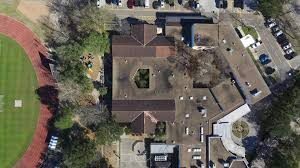 Zero/Six provided professional services related to the concrete roof tile replacement for the Bissonnet campus, which will be dedicated solely to early childhood development and elementary education programs. Our team produced construction drawings, coordinated the bidding process and performed on-site QA/QC and reporting services during the construction phase of the first large-scale renovation and expansion in 15 years for the school. St. Mary Cathedral Basilica is a Gothic Revival church designed by Paris trained Architect Theodore E. Giraud. The floor plan is a traditional Latin cross with the entrance facing west. The masonry mass wall and timber-framed structure include 500,000 Belgium bricks that had been used for shipping ballast. 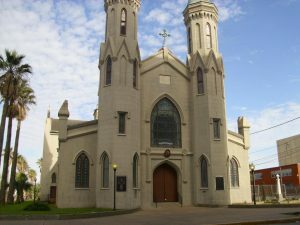 In 1876, a bell tower, designed by Architect Nicholas Clayton, was added to the east side of the cathedral, and in 1878, a cast-iron statue of “Mary Star of the Sea” was added to the top of the bell tower. In 1884, Clayton raised the twin spires on the west side of the cathedral to eighty feet, an elevation just below that of the bell tower. On August 2, 1979, Pope John Paul II made St. Mary’s Cathedral a minor basilica in recognition of its historical importance. Zero/Six performed an assessment of the exterior building envelope, providing a report outlining findings, suggested next steps, and repair recommendations.